Which Heart's Spring heroine are you? Fun with Flowers | Take Your Pic(k)! 1. What's your favorite flower (AKA your top pick)? 2. Share some flower pics you took this year! I think my favorite would have to be between three choices: forget-me-nots, bleeding hearts, and lupines. 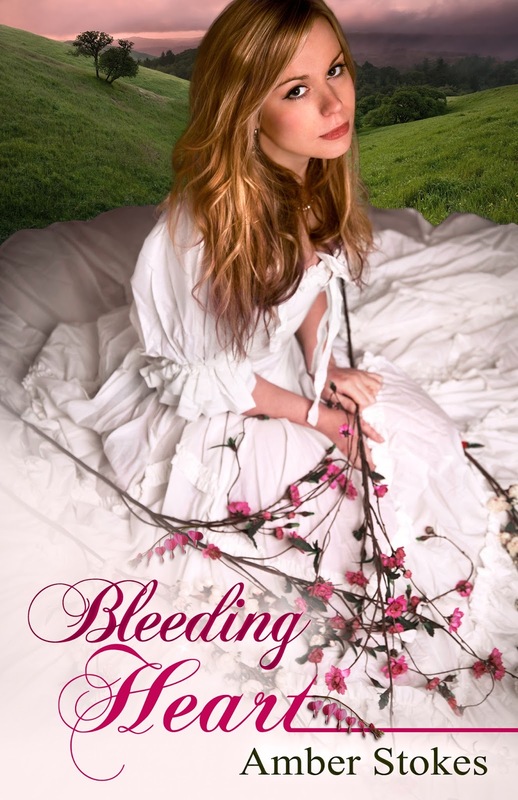 Since writing Forget Me Not and Bleeding Heart, I get excited to spot either of those first two flowers. :) And I love the wealth of meaning behind their names and their appearances. As for the lupine, it makes me think of my mom, the fingerprint artwork I made in first grade and gave to her, and our past day trips in late spring to see the lupines in bloom on the hillside. Aren't these white ones so beautiful? 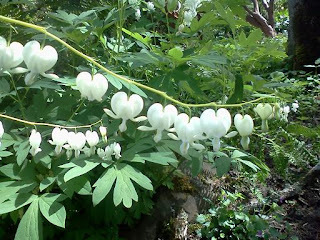 I didn't realize all-white bleeding hearts existed until I came across some on a walk with friends. Note: The prompts are based on book titles/flower names and themes in The Heart's Spring series. 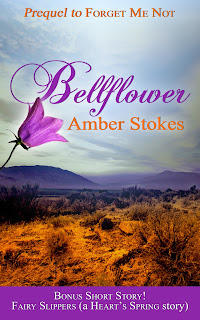 Bellflower: Name a book with beautiful writing or a profound plot that made you immediately fall in love. 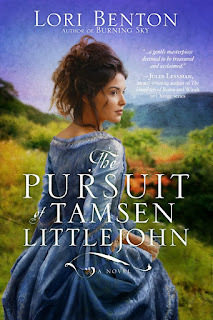 The Pursuit of Tamsen Littlejohn by Lori Benton has both wonderful writing and an engaging plot. My friend Courtney at The Green Mockingbird recently posted about rereading this book...and I think it's one I ought to reread sometime too! Forget Me Not: Name a book you adored in your childhood and can't forget even now. 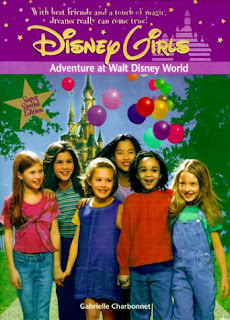 The Disney Girls series was a fave of mine in elementary school. I still have the collection of a dozen books, minus #11, which I sadly lost at some point. 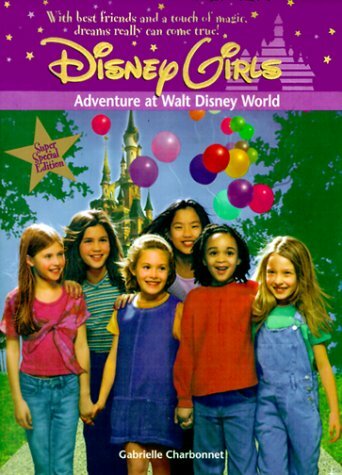 This one, Adventure at Walt Disney World (#7), is super fun, with the group of friends taking a trip together, and with certain chapters featuring a journal of their time. So cute! 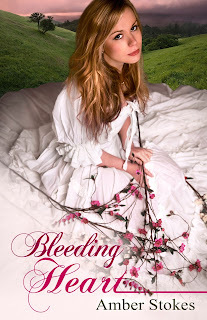 Bleeding Heart: Name a book that made you cry with deep compassion for a character. 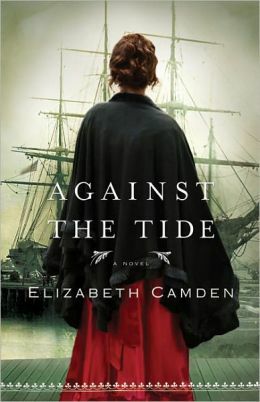 I would be remiss if I didn't feature Against the Tide. 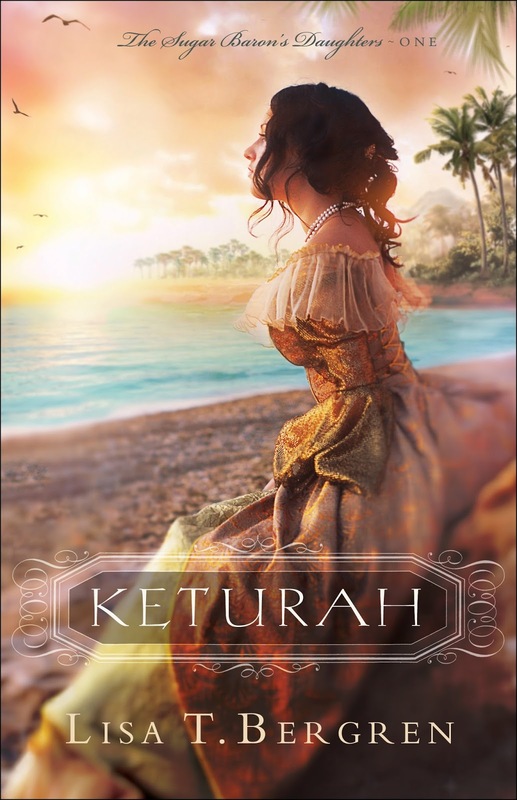 There are some scenes near the end that were gut-wrenching to read, making me feel so much compassion for the heroine of the story. You can read my full review HERE. I should also include Yesterday's Tomorrow by Catherine West, as that story affected me to the point of tears, as well. (My review can be found HERE.) Both are powerful reads! Fairy Slippers: Name a fantasy book or fairy tale that utterly charmed you. 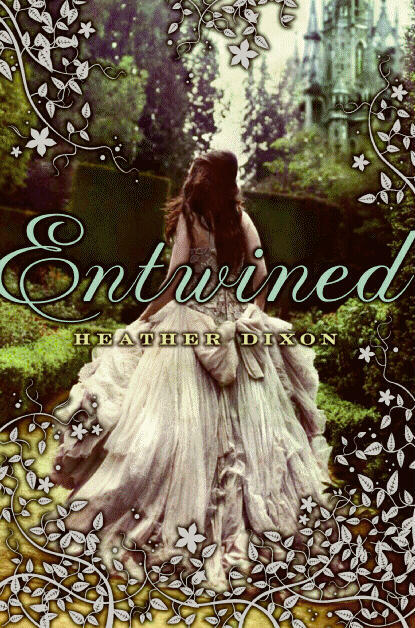 I absolutely enjoyed Entwined by Heather Dixon (a retelling of "The Twelve Dancing Princesses"). 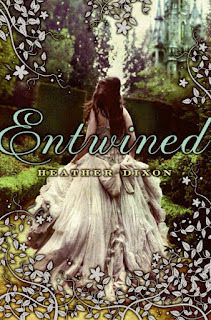 This is another book quite deserving of a reread! Morning Glory: Name a book that has not yet released but you just know you'll love. Keturah sounds really good, and I love both the author and that gorgeous cover. :) This book is set to release February 2018. Your turn! How would you answer these prompts? These deals will last through Friday, September 29, 2017. See you tomorrow for some fun with books and flowers! ...and Rooglewood Press announced the theme for their next fairy-tale novella contest: Sleeping Beauty. It seemed only right to connect the two events. What started as a terrifying experience has turned into story inspiration and an odd sort of fascination. I've even been collecting various bee paraphernalia (some items gifted by my mom): honeycomb-shaped bee dishes for my kitchen counter, bee pajamas, a bee notepad, and, from my most recent trip to the coast, a bee dishtowel, bee necklace, and a nonfiction book called The Beekeeper's Lament. It's interesting how writing through your fears can be so freeing. A new perspective - a bit of distance to see the size and shape and solutions - can make a world of difference. Sting Me to Sleep has been quite fun to write so far. 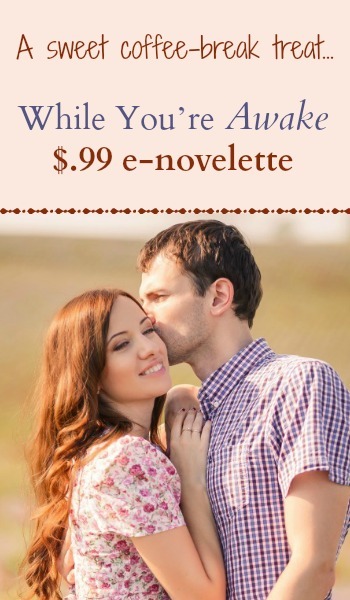 :) It's a contemporary romance with a slight fairy-tale flair. I don't know if I'm going to enter it into the Five Magic Spindles contest, as I feel it's more a modern "reimagining" of Sleeping Beauty than a retelling. More "inspired by" than strictly following the plot. I'm really not sure how exactly it's going to turn out, but I hope to finish it soon-ish and find out! There were two things I feared in life above all others. Bees, and inconveniencing another person. The latter dread resided deep within me—a calcification built layer by layer, glare by glare, reprimand by reprimand, and solidified with my mother’s disappointed tears. That’s why I didn’t ask for help when the bees came. It was just last spring. I lived in a small rental home on the edge of town, where the grass grew a little wild because I had never bought a lawn mower and the nearest neighbors weren’t near enough to care. I liked the solitude. Any freelance editor would. And I was proud to have my own space after several years of rooming with strangers while building up my business. But the bees found me after only several months of peace. I had known they would find me, eventually. The kind of knowing that friends mock but always proves true. Maybe a self-fulfilling prophecy. Still, I wasn’t prepared for the battle that awaited me in my own home. 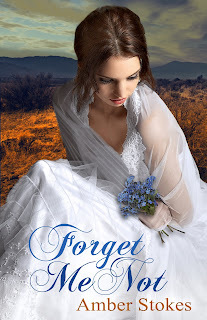 *Note: I haven't forgotten about Morning Glory (Book 3 in The Heart's Spring series) or Where Trains Collide (another NA novella)! I still plan to finish and publish both stories in time, Lord willing. Stay tuned! 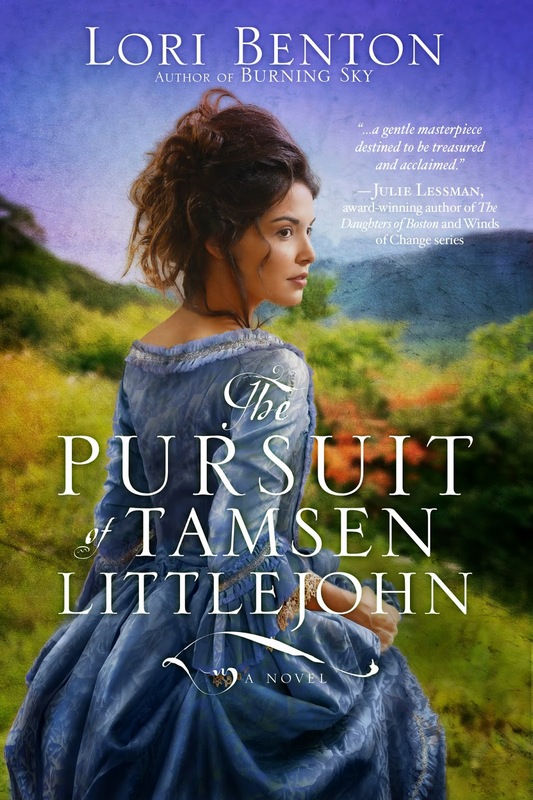 Crazy4Fiction (Tyndale House Publishing) recently posted a quiz regarding their latest fiction heroines, and I guess that inspired me, as I found myself thinking today about what sorts of questions I might include in a quiz for my books. :) So I created a personality quiz for "The Heart's Spring" series. Thought it might be fun! Disclaimer: This is just a for-fun sort of thing. If the description doesn't really fit you - or if it eerily matches you to a T - I hope you'll remember I'm not really a mind reader. :) Hehe. I'd love to know which heroine you are and whether or not you agree with your result! Which heroine has resonated most with you from the "Heart's Spring" books you've read so far? Some seasons the words flow, and the story falls together as if everything you had previously experienced led to this collection of pages. Some seasons the words won't come, or they feel all wrong, and the story closes itself tight within a bud not ready to be peeled open. And some seasons...life happens. The words fit together if you force them, but you know there's a better way and a bigger picture if you would just stop rushing to see the puzzle completed. Here I am once again, asking for your forgiveness. You'd think I'd have learned my lesson with Morning Glory, but one can hope the lesson has at least sunk in deeper now. I've come very close to finishing a first draft for Where Trains Collide, and there are some things I'm happy with, and others I'm not. I know for sure and for certain that there's no way I'll be publishing it on Earth Day, which was my goal - and for that I sincerely apologize. :( I think this story needs some work, and I still need to factor time in for editing by my proofreader and myself. And it's quite possible that what this story needs, more than the energy that I don't currently have, is time and life. 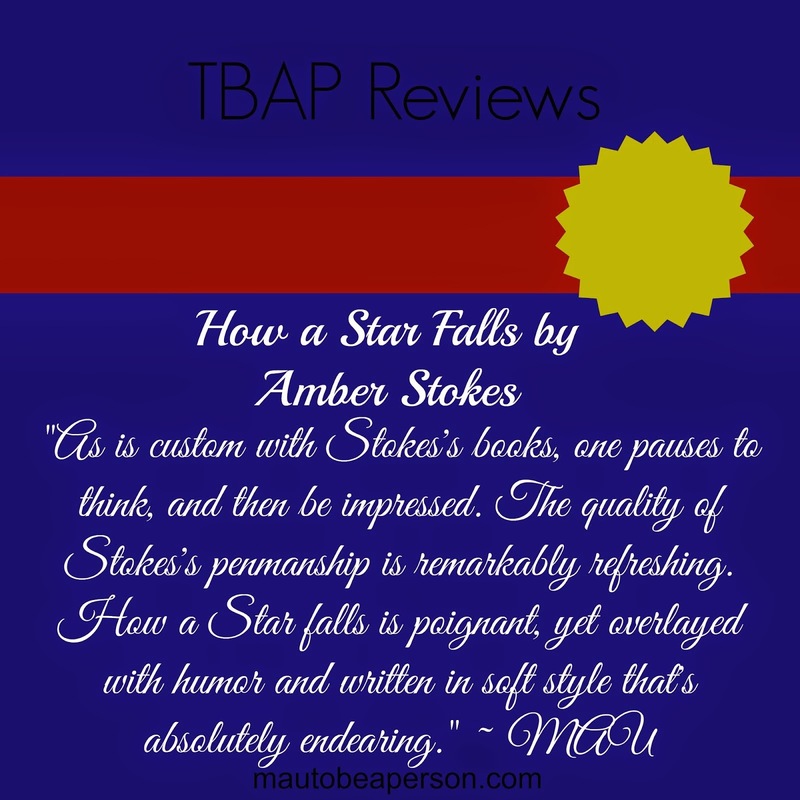 Perhaps I should factor that into my story process more often... That's what made all the difference with How a Star Falls. The story became something completely different and infinitely better when I let myself ponder it over the months and experienced life transitions in the meantime. When the time was right, the story flitting around in my head finally flew onto the page. I know it won't always be easy. Sometimes the words will stop and start and eventually find the updraft they need to glide through to the end. Sometimes life will plunge you into the sea, with words all around you but nothing to grasp onto yet. My grandpa recently passed away, and between his loss and family turmoil and busyness at work and busyness after work, I've gotten off track (although I was already heading that way before his passing). And while I know it's not OK to make commitments and not keep them (and for that I'm truly sorry), I know it is OK to take time to ponder and feel and live. To readjust priorities. To rest. To remember. Lord willing, Where Trains Collide and Morning Glory, whenever they might finally be released, will be better for the wait. Thank you so much for your constant support and friendship! I hope that whatever season you're in, you'll ultimately be blessed by those times you get off track and experience life in new ways. 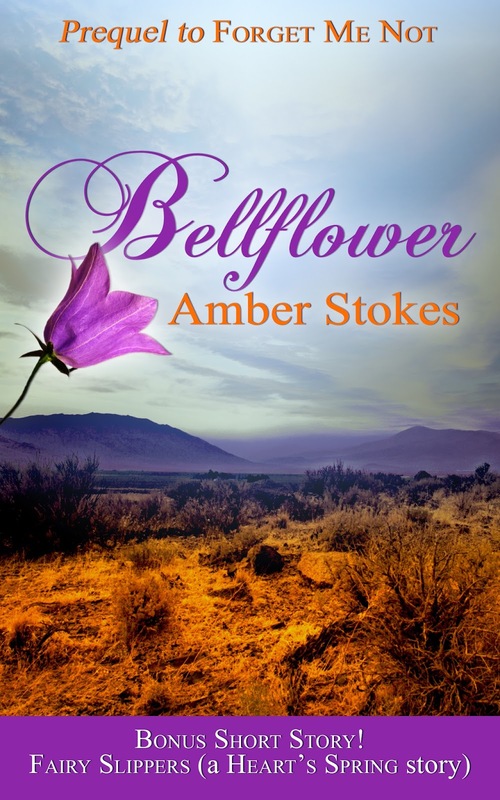 "The Heart's Spring" is an inspirational historical romance series by Amber Stokes, consisting of 3 novels and a couple of companion short stories (fairy-tale retellings). The series is set in the American West in the late 1880s. Be sure to visit each of the book's pages (links above) for more details about the stories! Copyright © 2014 Amber Christine Stokes. All Rights Reserved. Picture Window theme. Powered by Blogger.